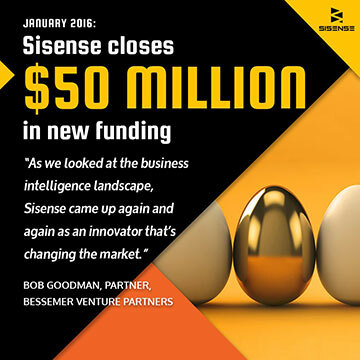 NEW YORK, NY – January 7, 2016 — Sisense, disrupting the BI market by simplifying business analytics for complex data with its innovative In-Chip™ analytics, today announced that it has closed $50 million in Series D financing. The company is revolutionizing the business analytics market, growing revenue by more than 100 percent for the fifth consecutive year. Sisense added hundreds of new customers in 2015, and is expanding existing customer relationships so quickly that it has delivered consecutive quarters of greater than 100 percent net renewal from its existing customer base. With market disrupting technology and record results across all key operating metrics, Bessemer Venture Partners (BVP) has seized the opportunity to lead the company’s Series D funding. 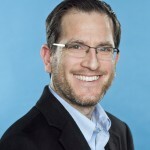 As we looked at the business intelligence and analytics landscape, Sisense came up again and again as an innovator that is changing the market, making business analytics dramatically easier for both corporate business users and SMBs,” said Bob Goodman, Partner, BVP. “We were impressed by how distinctive the technology is. Multiple Bessemer portfolio companies chose Sisense for their own business analytics because of the agility it provides business users to quickly analyze large, disparate data sets. 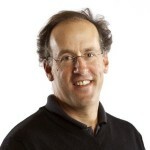 We expect Sisense’s momentum to accelerate and believe the company will capture a sizable chunk of the $33 billion big data and business analytics opportunity. All key existing investors joined BVP in the Series D round. The new funding will be used to continue investing in innovation, focused on simplifying analytics for large, multi-source data sets, while rapidly expanding business operations in support of Sisense’s global growth. The only way to translate data into business value quickly and cost-effectively is to put the power of data directly into the hands of business decision makers and give them the agility and independence they need. That is what Sisense does better than anyone else in the market. This investment enables us to expand operations more quickly and accelerate our innovation in the business analytics market. Sisense business analytics software is empowering everyday business users to manage, analyze and visualize complex data within a single-stack environment, on low-cost, commodity machines. The company’s In-Chip™ analytics processes data 100X faster than competitive approaches, eliminating the need for cumbersome data preparation, large operational budgets or specialized IT skills. Sisense serves more than a thousand direct and indirect clients in over 50 countries, including Motorola, Skullcandy and eBay. The company received numerous awards in 2015 including ranking 47th among the Deloitte Technology Fast 500 EMEA; Ventana Research’s 2015 Information Technology Innovation Award for Business Intelligence; Frost & Sullivan’s Customer Value Leadership Award for BI; and Celestica’s Total Cost of Ownership Supplier Award.